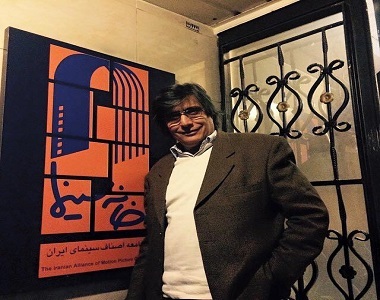 HRANA News Agency – Mostafa Azizi, prominent television producer and author, was arrested on February 1st, 2015 and is currently being held at the Evin prison. Sources indicate that Azizi was placed in solitary confinement shortly after his arrest. According to the report of Human Rights Activists News Agency (HRANA), Azizi was held at the IRGC controlled (Ward 2-A) pending early-March when he was transferred to Evin’s Ward 8/ Unit 7. A credible source wishing to remain anonymous, confirmed that Azizi has been charged under the pretext of “insulting the supreme leader”, “affronting the founder of the Islamic revolution”, “propagandizing against the regime” and “conspiracy against public order”. Mr. Salavati is the presiding judge over these charges. The source went on to say that Azizi is a resident of Canada and had returned to Iran for a family visit. The Iranian security forces arrested him roughly one month after his return. Mr. Azizi was the brain behind a number of popular television series during the past two decades. His long and fruitful career began in 1986 as an editor-in-chief for the National Iranian Radio. In 1990, he made the move to network television; where he presided over Computer Animations Department and acted as a software manager for the Iran Broadcasting Corporation. He began producing network programs in this period. Azizi is a member of International Animated Film Association (Association Internationale du Film d’Animation) and has previously held the association’s Iran chair for a period of four years.